​We’ve probably all seen it. Some of us have probably said it, at some point or another. And it’s understandable. We’ve all had atrocious decaf coffee. I mean, really horrible, spit-it-out-on-the-break-counter awful! Many coffee drinkers swear they can tell the difference between regular and decaf coffee BECAUSE of this reputation. 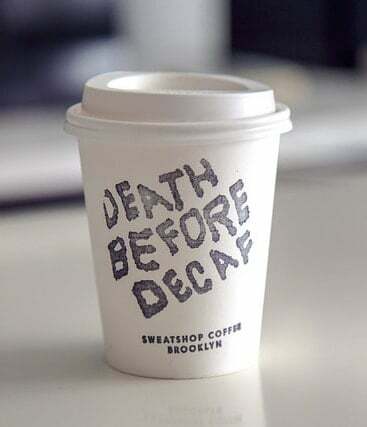 So why does decaf coffee get all the hating? If you're in a hurry and looking for the best decaf coffee, here is our top pick - Cafe Don Pablo Columbian Decaf. I think it’s possible that because decaf coffee is not typically a fast-selling, high-demand product, some roasting companies don’t put quite the amount of care and precision into roasting decaf coffees that they do that delicate single-origin microlot. If that’s the case, it makes me sad, because in my past experience managing a coffee shop, I learned to love my decaf-drinking customers. Simple. They drink coffee because they love the TASTE, not the caffeine buzz. Those are definitely my people! That is why I think it’s critical that roasting companies take extra care to produce the best decaf coffee possible. Decaf coffee can, and SHOULD, taste just as amazing as regular coffee. Green decaffeinated coffee beans need extra care when roasting because of what has happened to them during the decaffeination process, and afterwards when they are prepared to be shipped out to the roasteries. We put together a list of some of the best decaf coffees online. These coffees represent a spectrum of roast profiles, countries of origin, flavor distinctives, and yes, decaffeination processes. Take a look and see how they compare! Let’s dig a little deeper on these coffees, shall we? Cafe Don Pablo takes a great deal of care in producing their amazing coffees. Using a combination of quality control technology and their own senses of smell, sight, sound, and taste, their highly experienced roasting staff produce coffees that differ remarkably from commodity coffee companies. Because freshness is extremely important, they choose to roast to order. They also do all their roasting in the U.S. Their Colombia Supremo Decaf is a medium body, medium-dark roast, with low acidity. It’s obvious that Jo Coffee likes to have fun, and they take pride in their product. 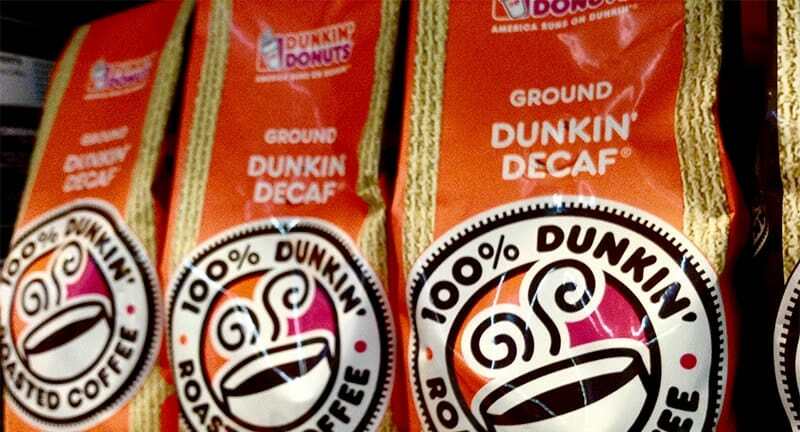 “Coffee Perfected” is a pretty bold statement, but so is this coffee. Jo Coffee starts things off on the right foot by sourcing coffee from the top 2% of the best coffee in the world through reputable import companies such as Cafe Imports and Royal Coffee NY. Then they take things to the next level through rigorous analysis, cuppings, and quality-focused roasting. Unlike some decaf coffees, this particular coffee is more like some Central American coffees, bright and complex. Its tasting notes are: sweet, blueberry, and milk chocolate. Pair that with Jo Coffee’s USDA Organic and Fair Trade certifications, and you have a real powerhouse coffee, albeit decaf, in this case. If that’s “No Fun”, then put me down for some! Fresh Roasted Coffee, Inc., is committed to actively pursuing environmentally and socially sustainable business practices. Their roasting facility roasts coffee using Loring smart roaster technology that has eliminated carbon emissions by 80%. They also source coffees that are Rainforest Alliance and Bird Friendly certified, which supports programs that encourage healthy ecologies and economies in coffee-producing regions. In my experience, Sumatran coffees can be an acquired taste, often in a “love it or hate it” kind of way. Folks that love Sumatran coffees will want to check this decaf out. USDA Organic Certified, and Fair Trade Certified as well, this coffee checks all the proper taste characteristics: full-bodied, earthy, creamy, and notes of baker’s chocolate. You really can’t go wrong with Costa Rican coffee. It’s really one of my favorite coffee origin countries, and I have had mind-blowing coffees from many different producers there. Volcanica Coffee does an amazing job of sourcing incredible quality coffee beans, taking excellent care of their farming partners, and providing phenomenal customer service on the sales end. This decaf coffee is shade grown and Rainforest Alliance certified. Full-bodied, lively and well-balanced, with subtle notes of chocolate, this is perfect to pair with a delicious dessert. Kicking Horse Coffee is shaped by three important concepts: Fair Trade, Organic, and Sustainable. All their coffees in all their forms have to fit within this very lofty goal. This immediately sets Kicking Horse apart from much of the specialty coffee industry. No K-cups or instant packets for these guys. They are also deeply involved in supporting initiatives that line up well with these big ideas, such as land and wildlife conservation efforts in the Canadian Rockies. Kicking Horse Coffee describes this decaf as “deep, dark, delicious; tip-top taste with a mellow finish. I’m not exactly sure what that means, but it sounds WONDERFUL. This decaf is a blend of Central and South American coffees, and is Fair Trade, USDA Organic, and Kosher Certified. And it’s the only coffee in this list roasted in Canada, which explains why it comes in 2.2 lbs. That’s the equivalent of 1 kg, for those of you who struggle with metric conversion like I do. Koffee Kult hails from Hollywood, Florida, and refuses to settle for ordinary when you can have the very best. Premium coffee beans from quality growers in over 50 countries, and precision roasting procedures and equipment help Koffee Kult produce small batches prized by South Florida boutique coffee shops. The family-owned multi-roaster company describes their decaf coffee this way: heavy body, smooth, dark chocolate with hints of raisin and cinnamon, followed by a lingering finish. If you ask people to list high quality coffees, you’ll almost always hear Kona mentioned near the top. It’s a well-deserved reputation. Because of the nutrient-rich volcanic soil of this Hawaiian island, Kona coffees benefit from its unique qualities. Combine that with the morning sunshine and the afternoon cloud cover that can be found at this particular latitude, and you have a wonderful opportunity to grow delicious coffee. Koa Coffee has been so successful at producing delicious Kona coffee, they have won Forbes’ “Top Ten Coffees in the World” and “Best Coffee in America”. This particular coffee from Koa Coffee is special because not only is it Swiss Water Processed decaf, it is 100% Kona coffee, and that is a real treat. Try it and you’ll understand why. Eight O’Clock Coffee bills their decaf as “The Original Decaf”. Whether that’s accurate or not, Eight O’Clock has a reputation even among coffee snobs like myself as being remarkably consistent, and their fans are FIERCE. Many remember going into the A&P Supermarket and smelling that fresh-ground Eight O’Clock coffee. My dad used to do that for the customers when he was an A&P grocery bagger back in the day. This coffee is a blend, sweet, fruity, and well-balanced. It’s also the ONLY coffee in our list processed with methylene chloride. This Central American blend comes to you from the heart of Brooklyn from a team of dedicated coffee professionals. Earthy and subtle, it has low acidity, a smooth flavor, and a clean, satisfying finish. No, for real. 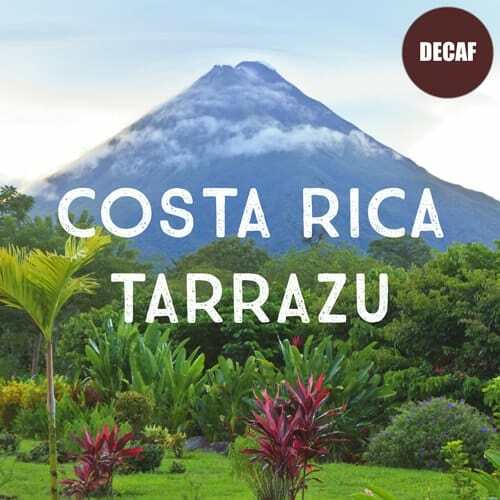 Volcanica made our list earlier with their Costa Rica Tarrazu Decaf. Sumatra Mandheling is one of those coffees that I will always remember because it was my FIRST micro-roasted coffee that I actually tasted something different, something unique. You always remember your first. Like other Sumatra coffees, this decaf Mandheling features a deep, rich earthiness, heavy body, low acidity, and a syrupy finish. Like we said at the outset, there is a decaf coffee for every taste, and these cover a spectrum of flavors, textures, roast profiles, origins, and decaffeination processes. Now you just have to decide which one to try. Or you could just do what I do, choose several and do a side-by-side comparison in your own kitchen! 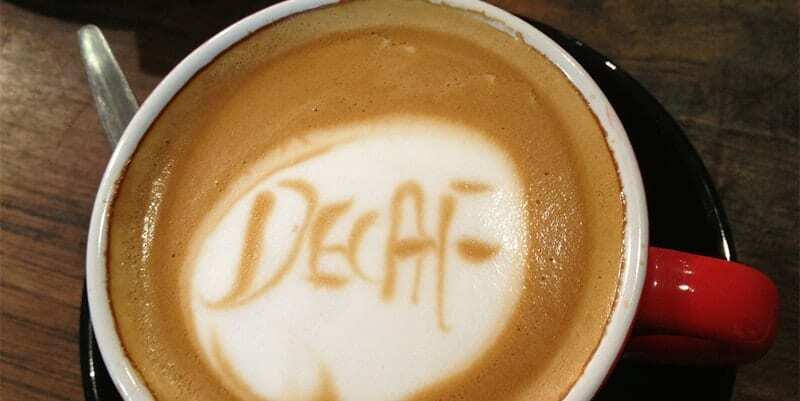 Before winding up the article, I would like to add more insights about the decaf process. Here is our guide on the different decaf methods. So How is Coffee Decaffeinated? There is a chemical process, using either methylene chloride or ethyl acetate. There are 2 water processes, Mountain Water Process and Swiss Water Process. Finally, there is a pressurized carbon dioxide process. The chemical processes can be done in 2 ways: indirect or direct. The indirect method uses hot water to swell the unroasted coffee bean, allowing the caffeine to be released into the water. The caffeinated water is then passed into a vat containing one of the two chemicals, where the caffeine bonds to the chemical. Then the water is reintroduced to the the coffee beans so the oils and flavor components that were removed by the hot water can reintegrate. The beans are then dried and readied for roasting. The direct method uses steam to swell the coffee beans, which are then rinsed with one of the chemicals. Then the beans are steamed again to remove all traces of the chemical, and dried. Interesting fact: despite concerns about the use of chemicals during decaffeination, both chemicals in this process are quite volatile, and would not survive the high temps of roasting. The Mountain Water Process and the Swiss Water Process are quite similar to each other, but both possess some proprietary differences. In both, hot water is used to expand the beans, carrying away the caffeine. Then the beans are dried. The carbon dioxide process follows a similar pattern. Coffee beans are soaked in hot water, and pressurized CO2 is added to the water. The caffeine molecules are attracted to the CO2 molecules, and the result is moved into a separate container. By releasing the pressure, the CO2 returns to its gaseous state, leaving the caffeine behind. The CO2 is then reclaimed and reserved for the next batch of beans to be decaffeinated, and the beans are dried. All this hot water, steam, and more water mean the moisture content in the green coffee has changed, even after it has been thoroughly dried. This moisture content affects the temperature changes in the coffee beans during the roasting process, and roasters have to regulate temperature and air flow carefully to avoid letting the batch proceed to quickly or too slowly. It’s not uncommon to see a decaf coffee and a regular coffee, both from the same microlot, have a completely different roast profile, simply because the decaf responds to roasting temperatures differently. And it’s that kind of detail that can determine whether a decaf coffee tastes delicious or horrible. you show Dunkin Donuts but no info…is this one of the BEST? Need to buy now! Please reply! Can you recommend a coffee that is a well-known brand like Folgers? Most of the coffee brands that you li st here are too expensive or hard to find for many people.